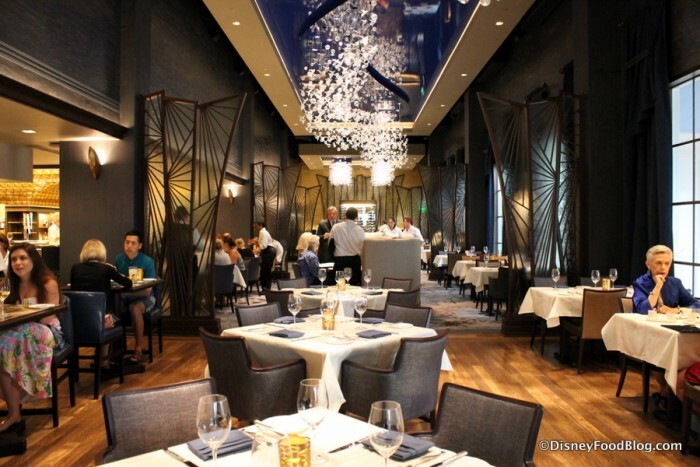 We knew Rick Bayless’s Frontera Cocina and Art Smith’s Homecoming Florida Kitchen were on their way to Disney Springs — joining the recently opened Morimoto Asia. But what we didn’t expect was a real physical presence from these guys. 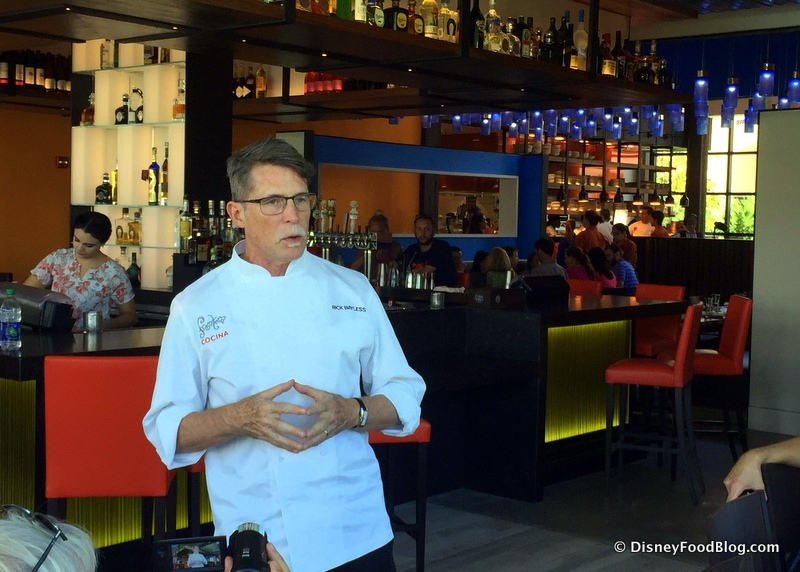 Disney Springs has become a hotbed of celebrity chef activity in Orlando. 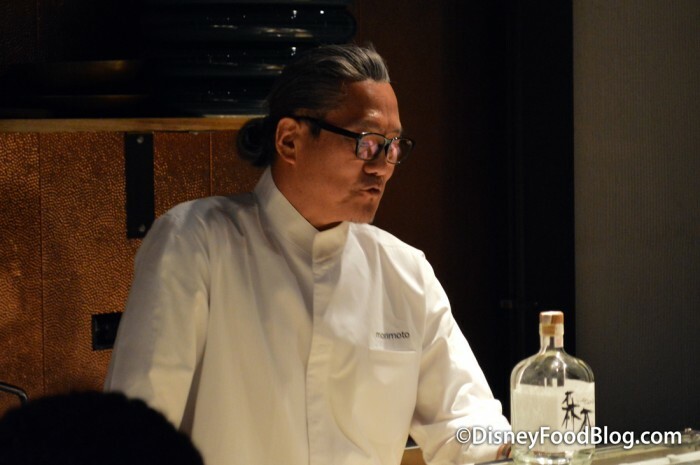 Chef Masaharu Morimoto has been back in town several times during 2016, as has Chef Art Smith. The two even hosted a progressive dinner together. We’ve also spied Chef Rick Bayless a couple of times, and hope to see more of him. And Chef Kevin Dundon is a fairly regular fixture at Raglan Road as well. The presence of the chefs lends authenticity to the dining experience. Patrons know that the chefs have had a hand in the menu creation, and that if they’re lucky, they just might run into one of them during dinner service. Pretty cool stuff for food nerds. We had to say goodbye to a few favorites. Some were expected, and some were surprises. None of them were easy. We first saw the writing on the wall for Writer’s Stop at Disney’s Hollywood Studios a few years back. We loved this best kept secret, notable for its quiet atmosphere, good coffee, and amazing pastries — especially the Carrot Cake Cookie! But we figured that its days were probably numbered when Starbucks came to town. And with the announcement of the major re-imagining at DHS — bringing both Star Wars Land and Toy Story Land soon — the fate of the little coffee shop was sealed. It continued on for a little longer than anticipated, functioning as a bar for nearby Sci-Fi Dine-In, and then closed altogether in September. Less expected — and with way less notice — was the closure of the Margarita Stand in Epcot’s Mexico Pavilion. While the drinks here were more 80s Chi-Chi’s than Mexican Fine Dining, they still had a place in our hearts and glasses. 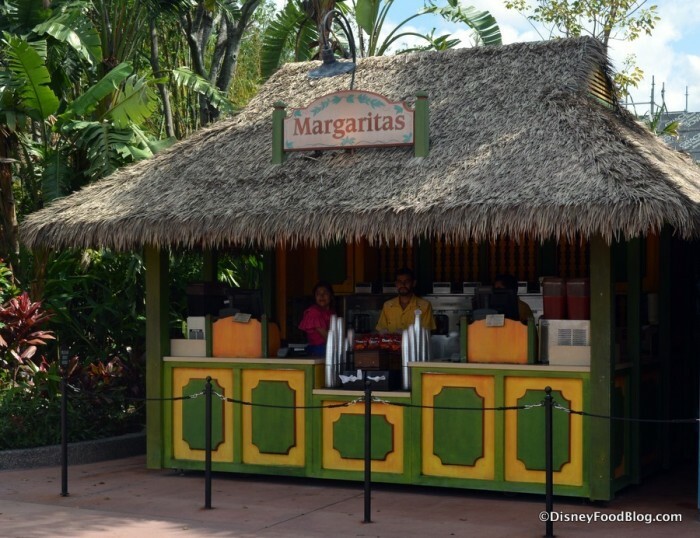 Who among us hasn’t indulged in a frozen margarita from the thatched stand on a Drinking Around the World trip? All hope is not lost, however. You can still score frozen margaritas across the way at La Cantina de San Angel. And of course, amazing hand crafted margaritas still reign supreme inside at La Cava del Tequila. But the BEST news — stay tuned. We’re pretty sure a new outside bar is coming, my friends. 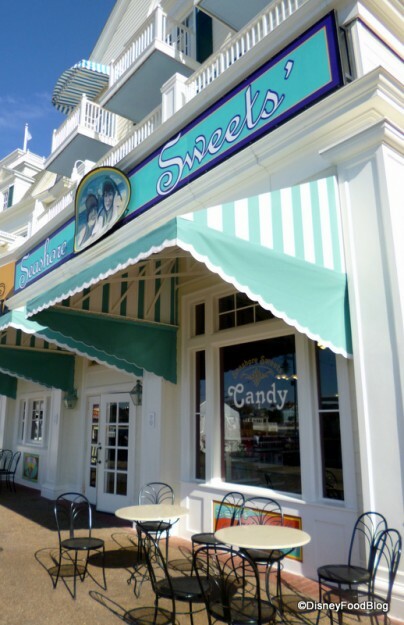 Finally, to make way for new culinary adventures at Disney’s BoardWalk Inn, we said farewell to Seashore Sweets. 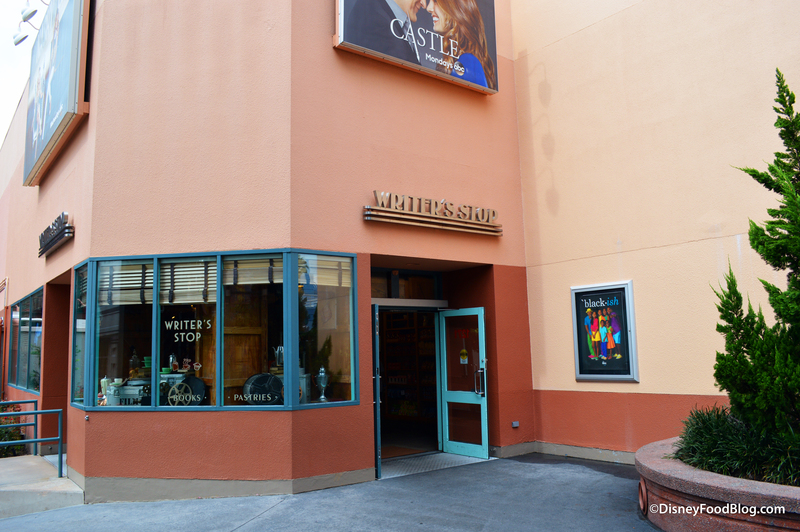 Some Disney fans decried the loss of the sweet shop, mostly because of its ice cream offerings. We were OK with it — especially in light of what came in its place. Keep reading for that big story. We now know we can expect there to be a Table Service Restaurant as well as a Confirmed Dinner Club. What does that all mean? Stay tuned. We’ll bring you more details the nanosecond we have them! 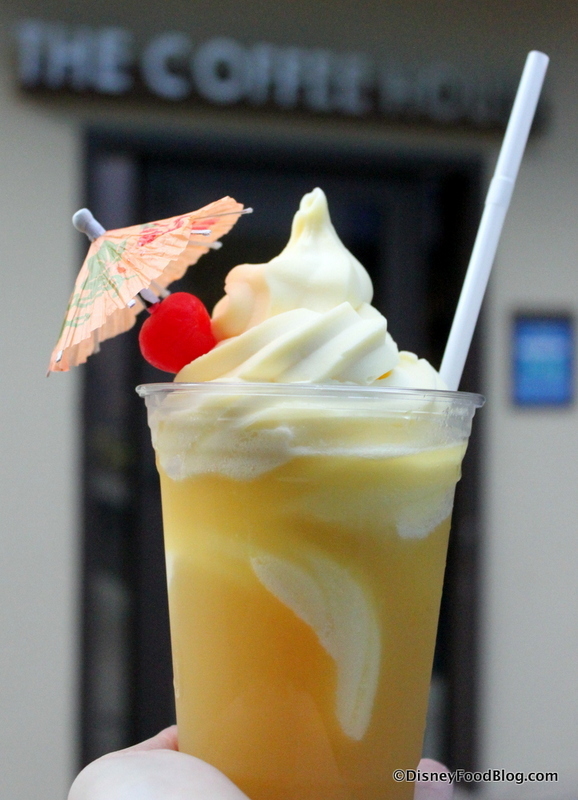 2016 could be dubbed The Year of the Dole Whip. 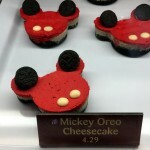 While we’ve grown accustomed to seeing it pop up on festival menus at Epcot, and it’s a regular mainstay at Disney’s Animal Kingdom, that was about it for the Disney cult classic treat, outside of the normal places to get it. Until recently, that is. Dole Whip has recently made appearances at two new spots — Disney Springs in Walt Disney World, and Disneyland Hotel at The Coffee House. 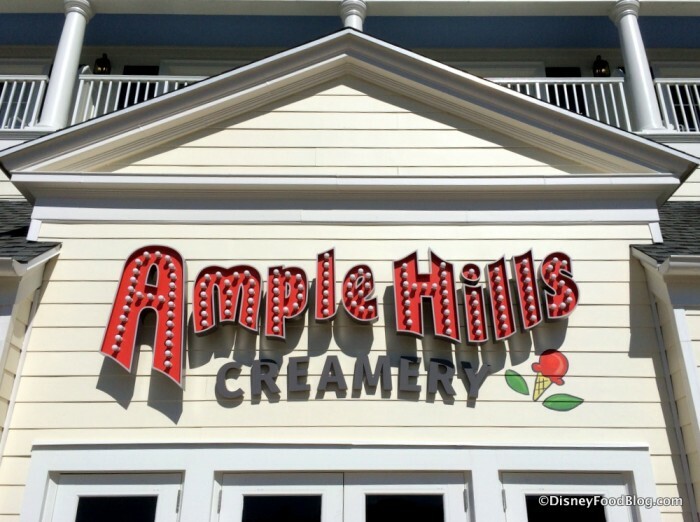 While you’ll find the treat styled by its non-branded “Pineapple Soft Serve” moniker at Disney Springs’ Marketplace Snacks, the bigger story is the Disneyland Dole Whip appearance. 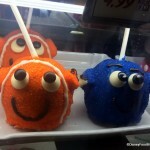 This marks the first time we remember seeing the treat outside of Disneyland Park. Aaaaaannnnddd — it’s not just Dole Whip. 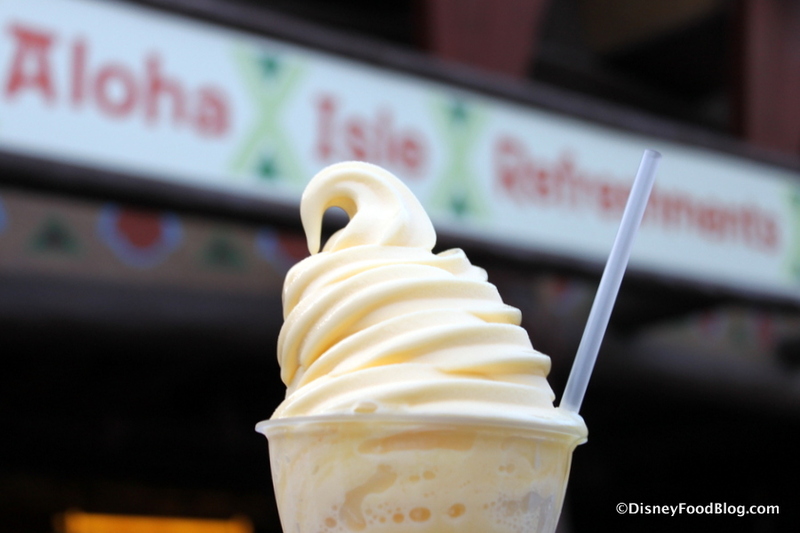 You can also indulge in Dole Whip Floats and Dole Whip WITH RUM. Yesssssssss. 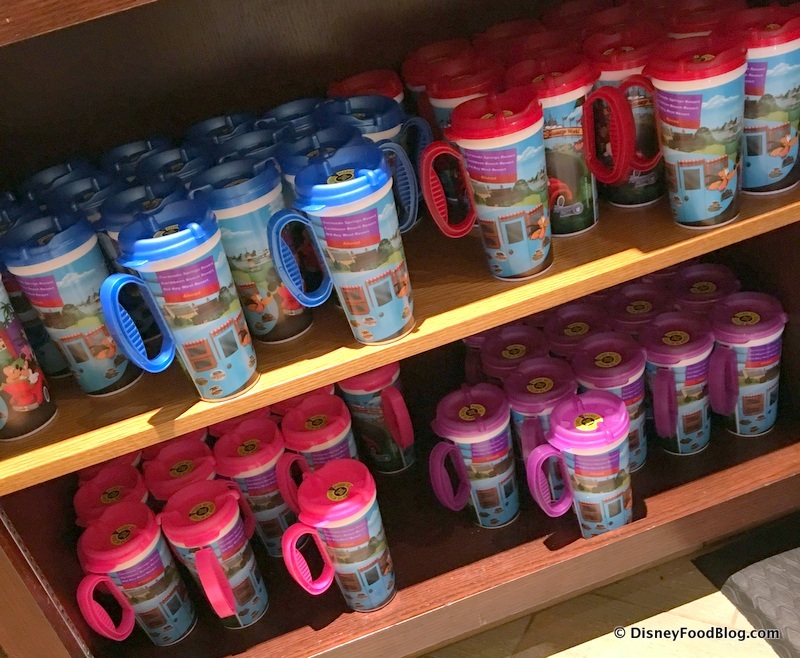 You wouldn’t think that Disney Refillable Mugs could once more create controversy — but you’d be wrong. Earlier this year, we spied with our own eyes that suddenly, the mugs were being offered sans handles. And wow — did you respond! 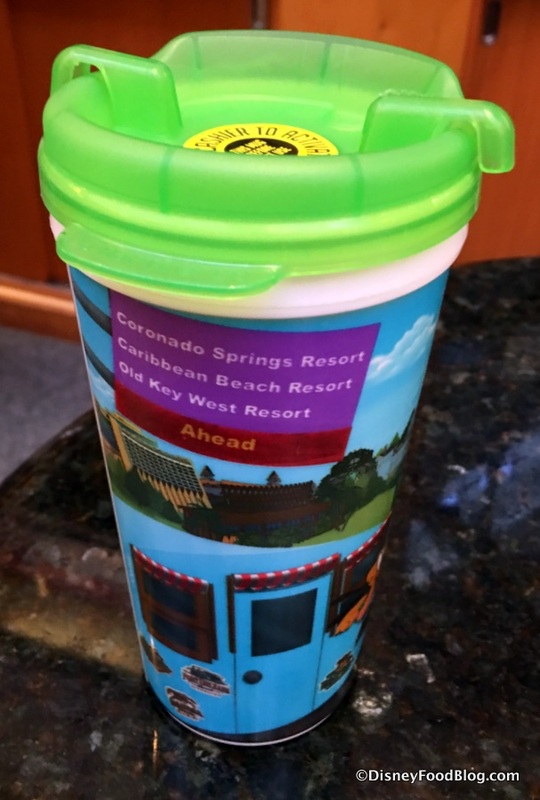 Some readers were absolutely thrilled, saying that the streamlined design would make the cup fit easier in stroller and car cup holders and backpack pockets. Others indicated vast displeasure with the move. And then suddenly, handled mugs started reappearing. Did some crafty Cast Member find a giant box of the handled variety in a storeroom somewhere? Nah. Our sources tell us that guests will have the choice of mugs with or without handles — at least for the foreseeable future. 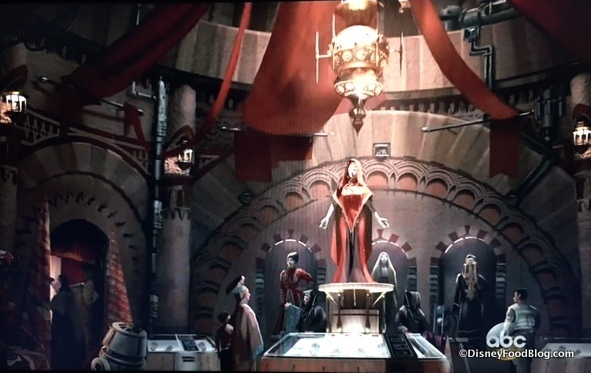 So — did Disney listen, just maybe, and respond to public opinion? We’ll never know for sure. Magic Kingdom ended 2016 even less dry than it began. 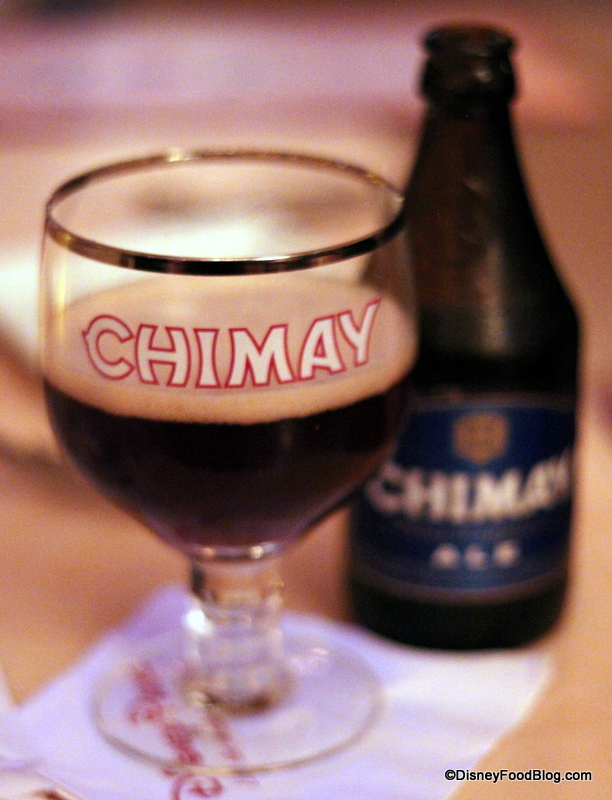 Recently, Disney decided that four restaurants would benefit from the intro of adult beverages. 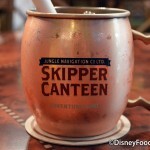 As of right now, Liberty Tree Tavern, Cinderella’s Royal Table, Jungle Skipper Canteen, and Tony’s Town Square are all offering expanded beverage options — tailored to the theming of each restaurant. The four join Be Our Guest Restaurant, which has served Wine and Beer during dinner only since it opened in 2012. 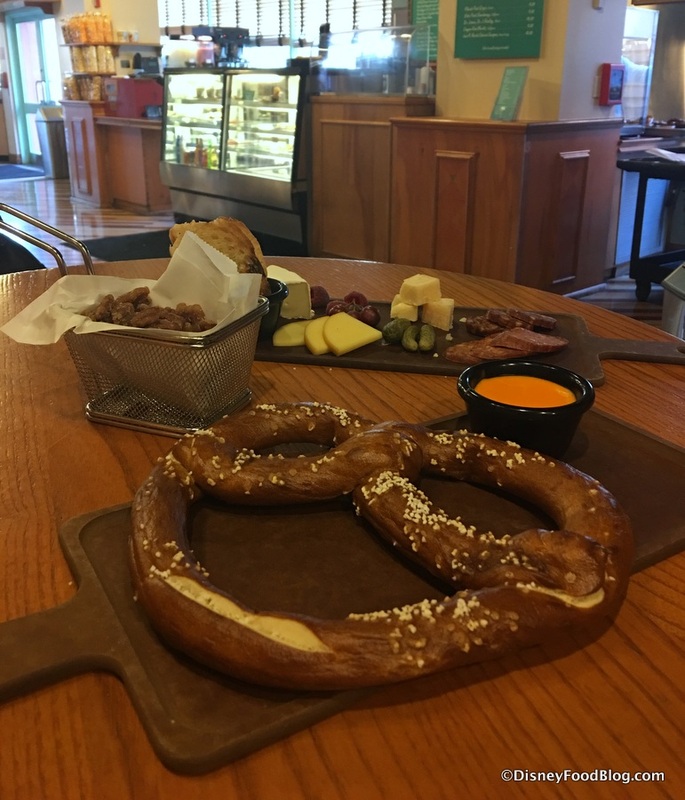 Tony’s Town Square will offer Italian wines and beers, while Liberty Tree Tavern will highlight American products like New England lagers, ciders, and domestically-produced wines. 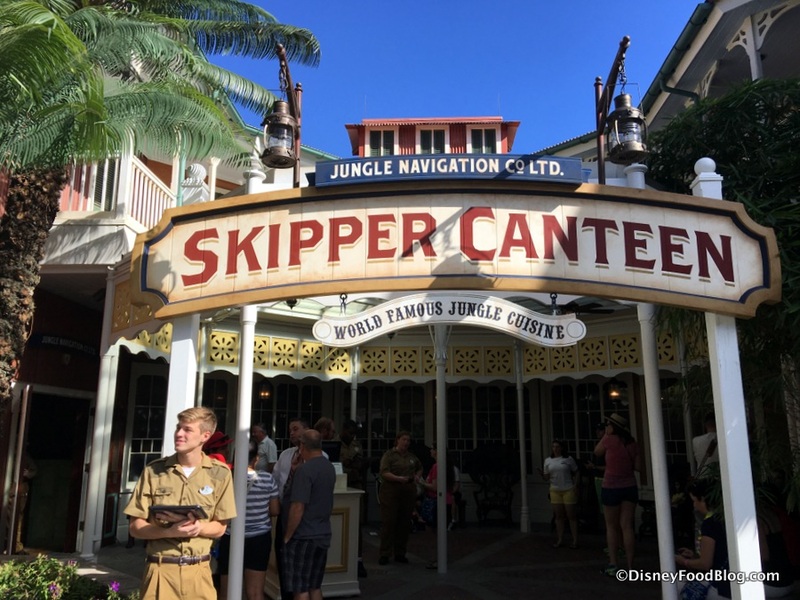 Skipper Canteen continues to celebrate its nomad ways with wines and beers from around the world, and Cinderella’s Royal Table will keep it classy with champagne and sparkling wines. The biggest takeaway? No beer stand on Main Street USA. And LeFou’s Brew? 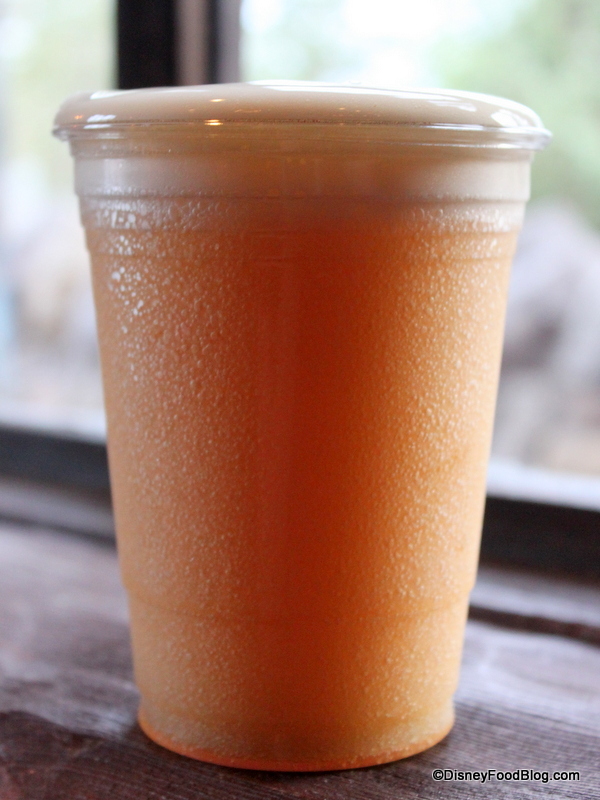 Still totally apple juice. LeFou’s Brew: Still Fake Beer. 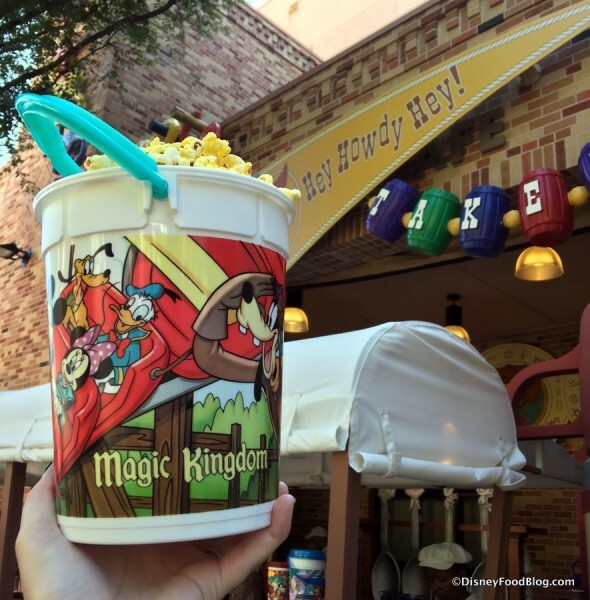 Disney Popcorn has legions of fans who swear up and down that Disney Popcorn is WHERE IT’S AT. So news of the Refillable Popcorn Program at the Parks of Walt Disney World were met with serious happy dances. Initially, however, two things dampened the enthusiasm: there was some confusion about just how the program would work; and we kept bumping up against dates that the program would end. However, readers — and our very own team — soon determined that refills seemed to be good for length of stay (not just the day of purchase), and could be refilled in any Park. And to further the good news, the program seems to be extended — for now. The last end date we saw was September 1, and the deal seems to be sticking around… There’s been no new end date announced as of press time. 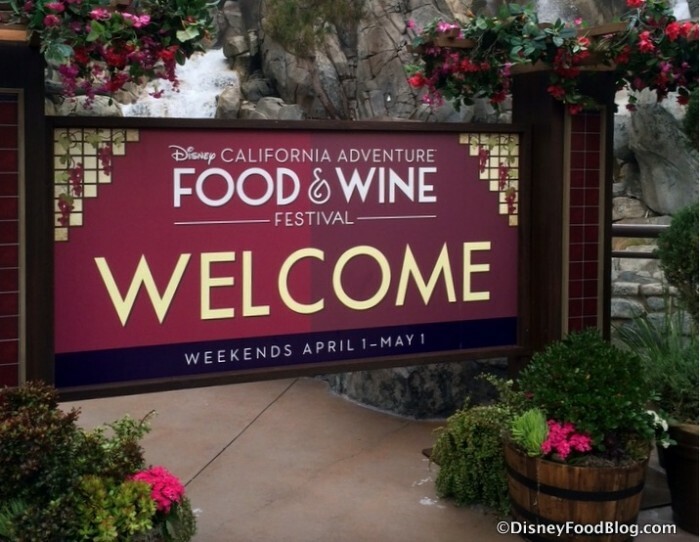 One thing that definitely surprised us — after a long hiatus, Disney California Adventure Food and Wine Festival returned in 2016. And we were absolutely thrilled! 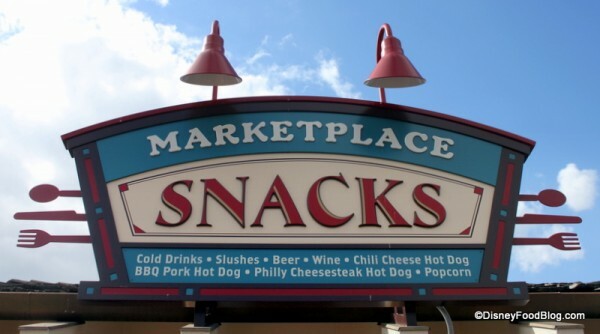 We’ve joked every year that we are one step closer to a year ’round Epcot Food Festival. Well, it’s kinda sorta happened. Epcot — and to a lesser extent, Disney California Adventure — have officially become Festival Central. It began last year with the re-introduction for the DCAFWF (see #3 above for all the deets on that one). And the 2016 Epcot Food and Wine Festival turned in a record 62 days. 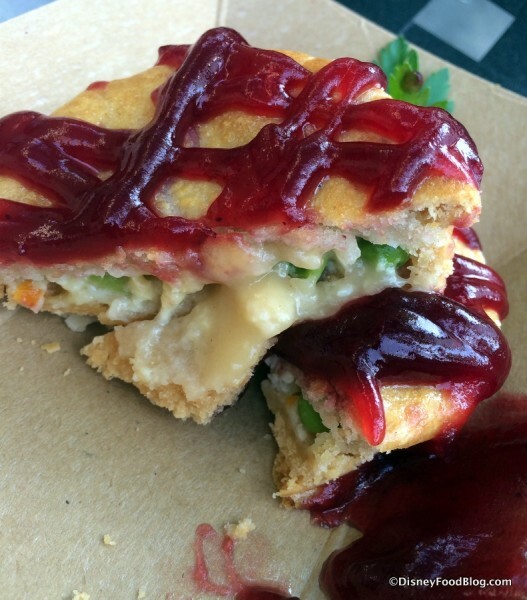 The trend continued through the holidays, as both DCA and Epcot turned in special food offerings. On the West Coast, the Festival of Holidays boasted 14 Marketplaces featuring holiday food from near and far (check out our full review of the event here). And that’s not all, because even MORE Festivals have been announced for 2017. 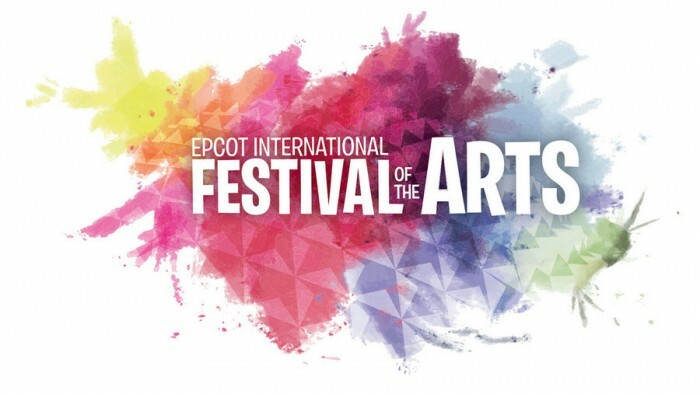 In Epcot, the Festival of the Arts will run weekends from mid January through late February. Then, the 2017 Epcot Flower and Garden Festival will begin a couple weeks later. Both include, of course, food booths! In Disneyland, look for the annual Lunar New Year celebration to expand into the booth business as well, with three new booths featuring traditional foods celebrating the cultures of China, Korea, and Vietnam. Did someone say new openings?? Well. You know. There were a few. (More like a DOZEN.) Let’s talk about them in order, more or less. 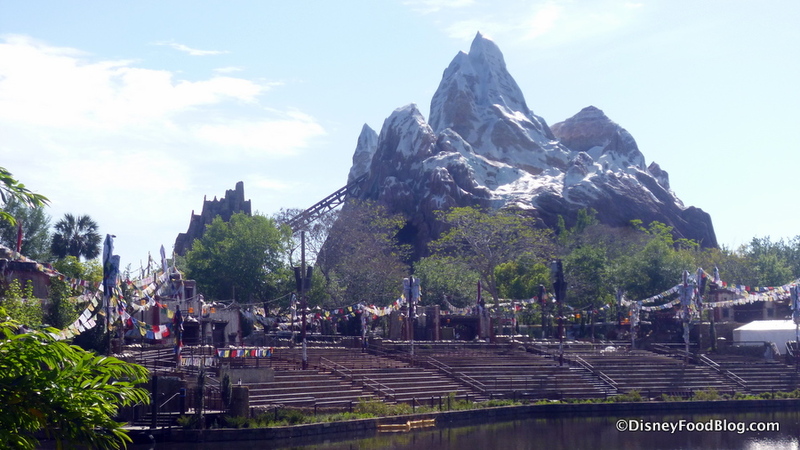 First up — Disney’s Animal Kingdom, and the “will they?? won’t they? ?” trauma drama of the Rivers of Light debut. 2016 was supposed to be the year that AK transitioned from a daytime-only park to a full-day-into-night destination. To celebrate the metamorphosis, Rivers of Light, a new nighttime spectacular, was set to launch. Future Rivers of Light Seating. Some Day. But for whatever reason (we heard there were ducks and sunken barges involved), the show didn’t, well, show. Unfortunate, but other openings had to happen, regardless. 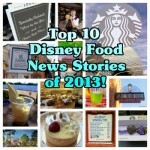 And tops on that list were the openings of Tiffins Restaurant and Nomad Lounge. 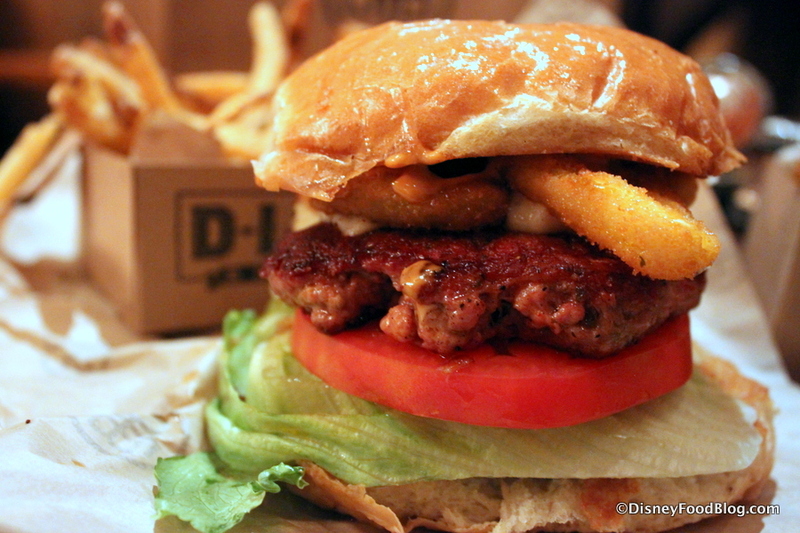 Tiffins represented a new direction for the Park, and perhaps a foretaste of things to come. 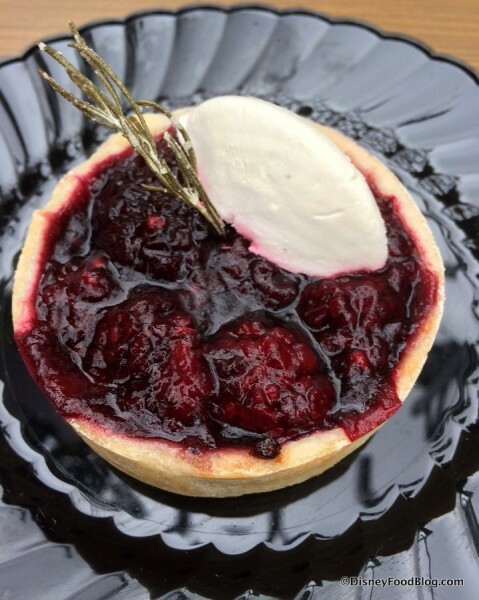 The table service spot, offering more exotic cuisine, is the first signature dining restaurant in the Park, and we’ve enjoyed our first visits there. 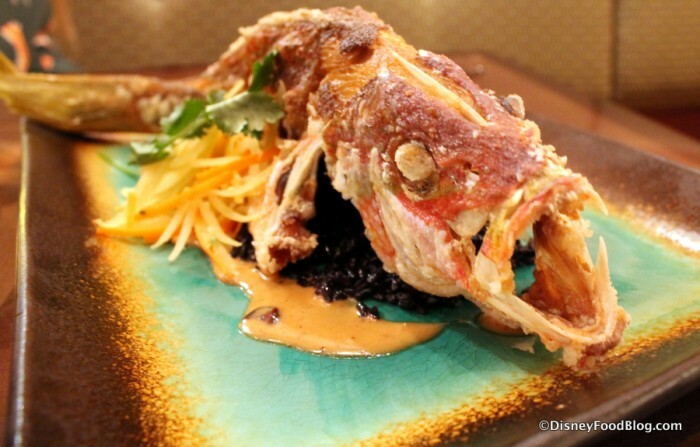 Whole Fried Sustainable Fish at Tiffins — Not Our Favorite, But People Love It! But Tiffins and Nomad Lounge are more than about just food. 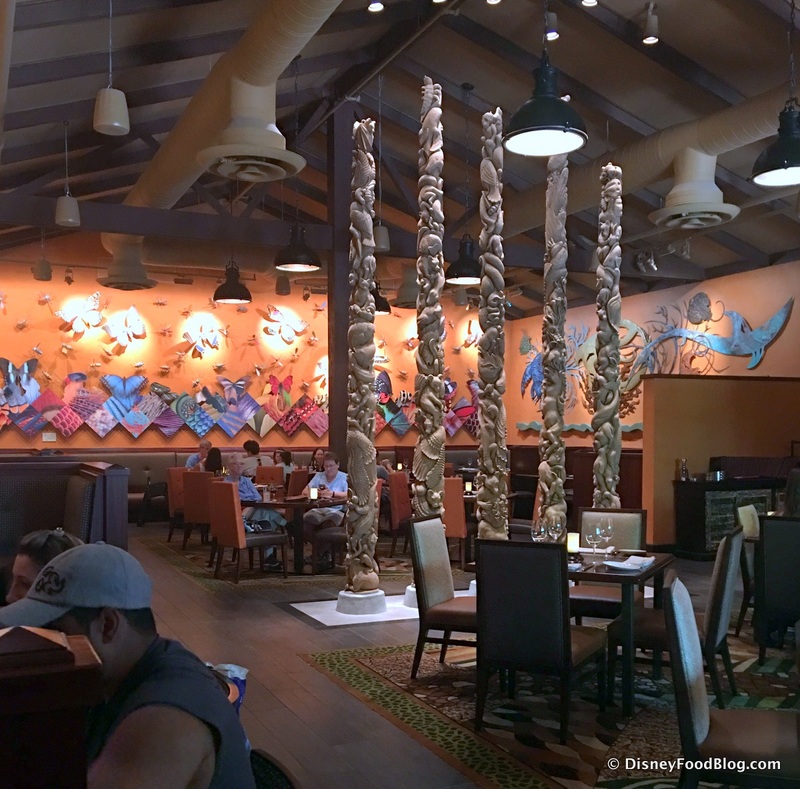 Both establishments serve as an homage to the building of Disney’s Animal Kingdom. You’ll find beautiful exhibits throughout. Really — pencil in time to look around; you won’t be sorry. While Magic Kingdom and Epcot didn’t really see much in the way of openings, Disney’s Hollywood Studios joined Animal Kingdom in shaking things up a li’l bit. Toy Story Pizza Planet closed for renovation, and the next thing we knew, Muppets rumors were swirling. 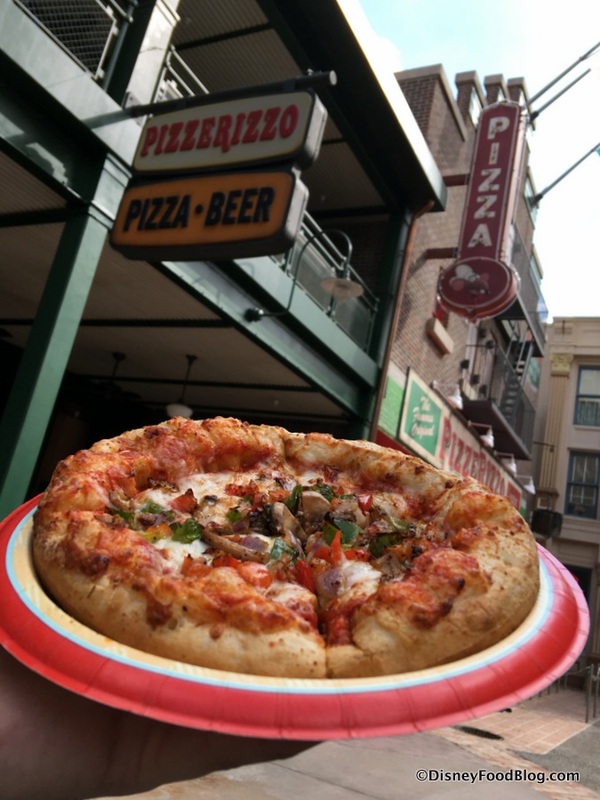 Sure enough, the spot reopened at PizzeRizzo, featuring — well, pretty much the same ho-hum pizza, but with a healthy dose of awesome theming. Given that we’re about to have a whole land devoted to Toy Story, we’re OK with it. Most of the opening action came courtesy of Disney Springs, however. 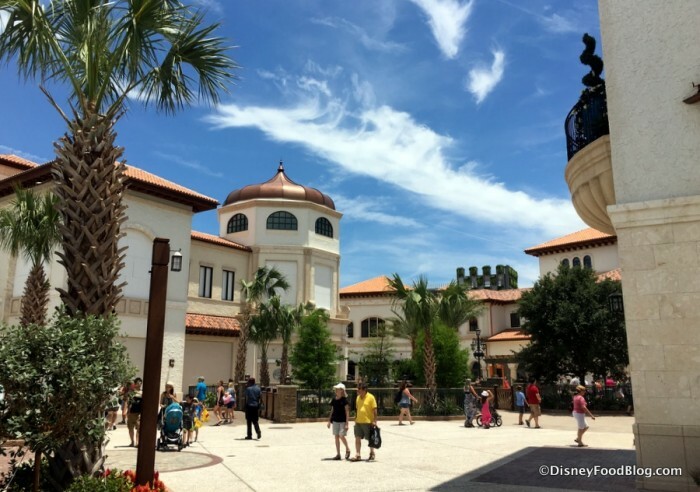 Even though we’re still waiting on a few stragglers (ahem…Planet Hollywood Observatory and Paddlefish), 2016 saw the vast majority of the newly re-imagined Disney Springs opened and ready for the business. And that meant a TON of new eateries. We kept ourselves busy, running hither and yon, covering them all. And, you know what? It’s easier to just give you a list! So click on the name, and it will take you straight to our first review! 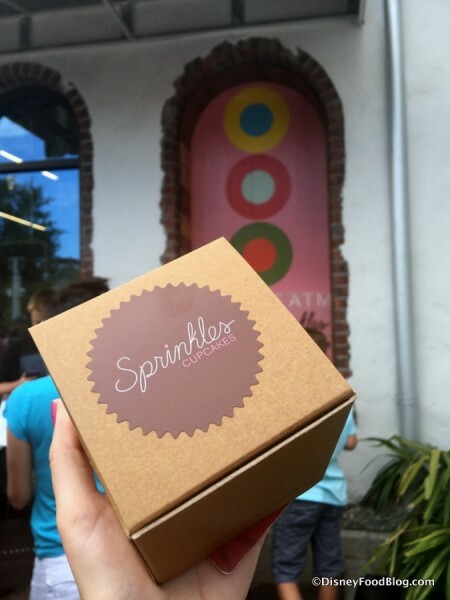 While a few spots haven’t wowed us, we’ve been back to favorites, like Sprinkles, Homecoming, and D-Luxe Burger, a few times already. 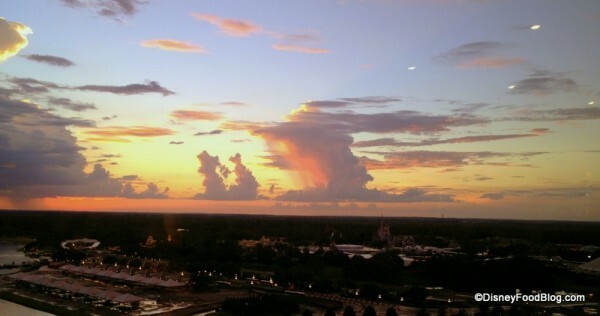 The story of new spots goes beyond Disney Springs, however. Disney’s BoardWalk got its share of love in 2016 as well. 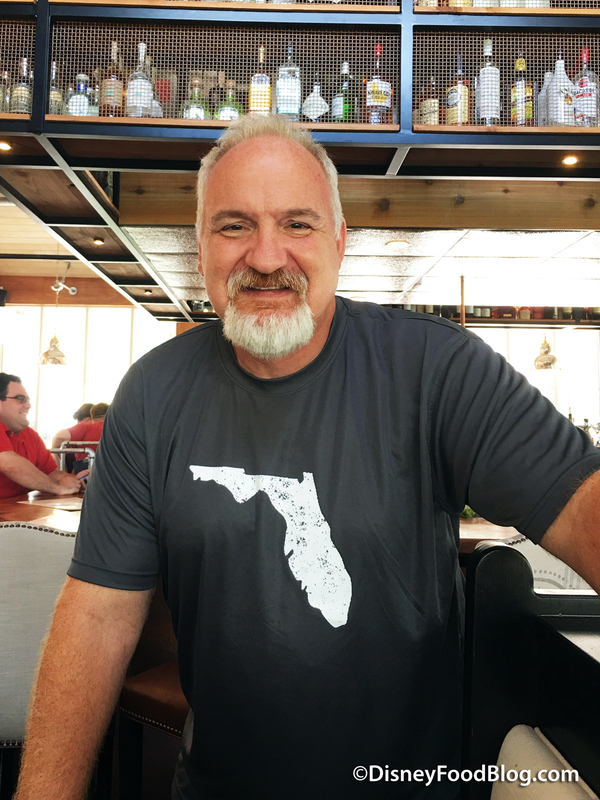 Flying Fish Cafe closed for several months and reopened as Flying Fish, complete with a radically new interior as well as a new chef at the helm, boasting a new menu. While food reviews have been mixed, the space is gorgeous. We’re keeping a close eye on how the restaurant continues to evolve. 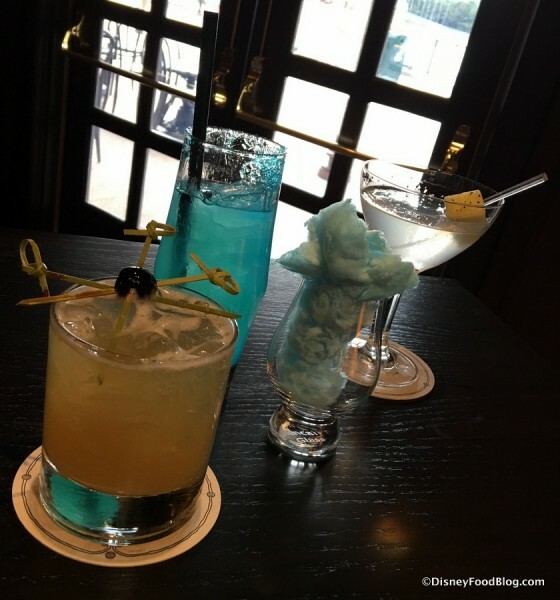 For years, guests have complained about the lack of lounges around the BoardWalk area; 2016 saw a remedy to that, as AbracadaBar opened with a whimsical and mysterious backstory. 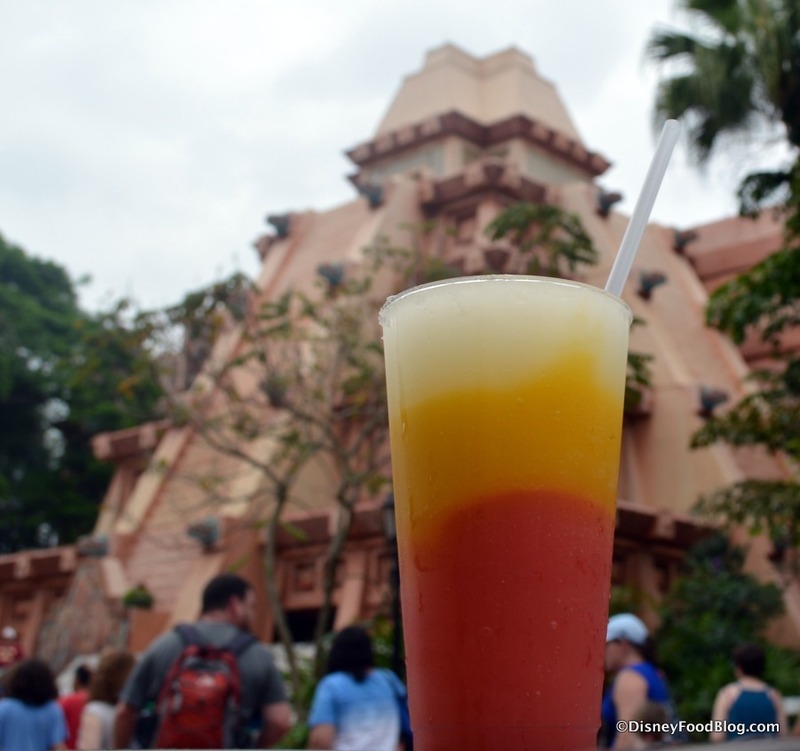 While the drinks here are fun, we’re still waiting to see if they expand the food menu a bit more. Still, it’s worth a stop in for the ambiance alone if you haven’t checked it out yet. Finally, a rumor we told you about came to pass. 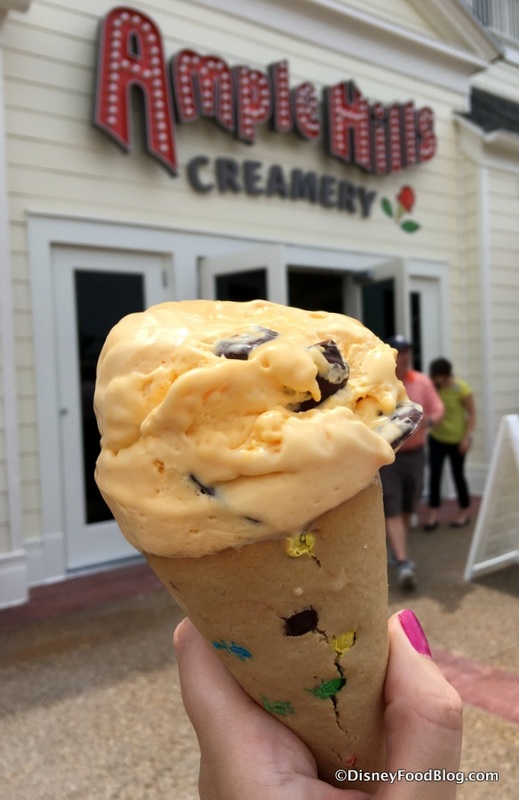 With the closing of Seashore Sweets, guests thought they might not have a place to grab an ice cream cone anymore. 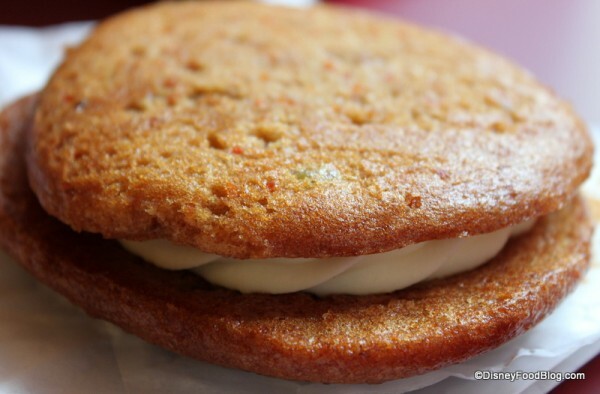 And seriously — what’s an old fashioned boardwalk without an ice cream parlor?? Enter Ample Hills Creamery. As the story goes, the Brooklyn-based shop caught the eye of Disney CEO Bob Iger, yada yada yada…now there’s a shop in Disney World…and one coming to Disneyland we hear! And we love their super cute drawings and their delicious, whimsical flavors. And their Ice Cream Flights mean never having to choose just one scoop! And — that’s a wrap on 2016! Be sure to stay tuned for our Top 5 Things We Are Looking Forward to in 2017 — coming soon! 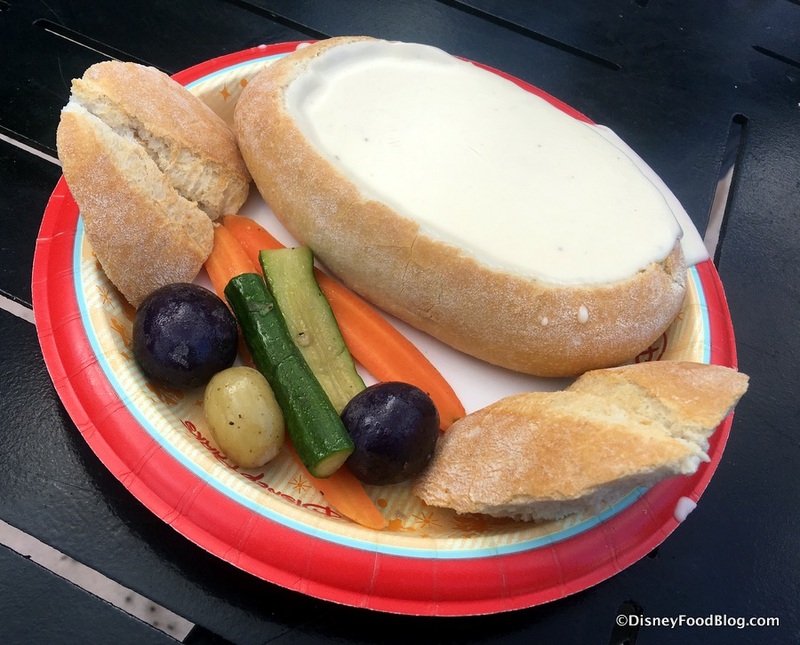 We are so excited to wrap up another year (especially THIS year…blergh) of bringing you all of the Disney Food News as it happens all around the world! 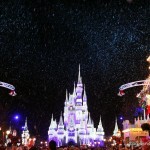 Planning Your Next Disney Trip In the New Year? TODAY — use promo code HAPPYNEWYEAR for 50% off our most popular Disney food guide, packed with hundreds of color photos and expert tips! 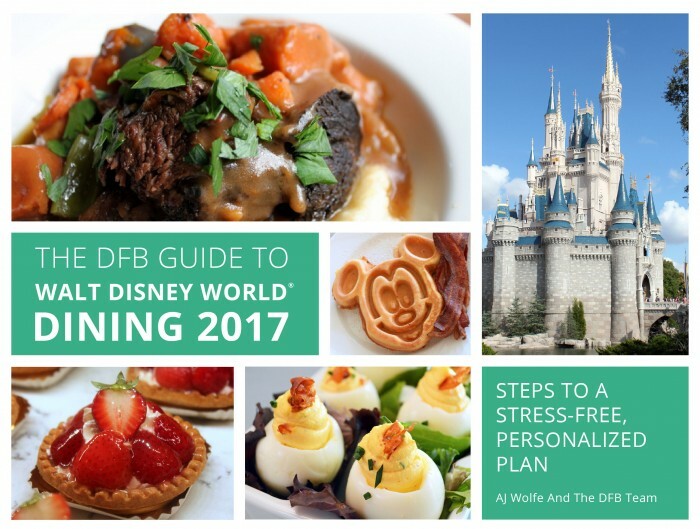 This deal won’t last long — so get your 2017 DFB Guide to Walt Disney World Dining today, and make a resolution to start planning your next Disney trip right away! But now, I’d love to hear from YOU! 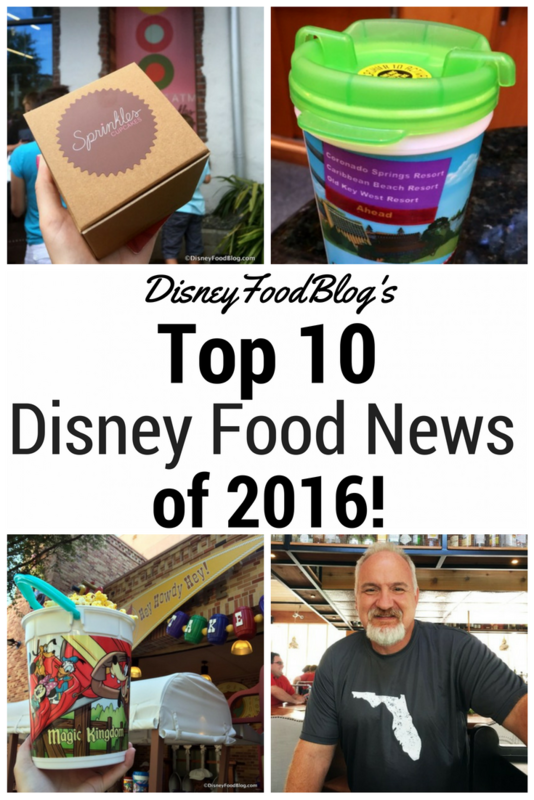 What Disney Food News Story made the biggest impact on you in 2016? Leave a comment and let us know! We were at Disney Dec. 18-23 and I asked at three different resorts and no one had the handleless mugs. They are no longer available and haven’t been for some time is what I was told all three times. What’s wrong with 2016, AJ? I had a great year! We were there at the very end of October and beginning of November and my entire family got handle-less mugs. We were staying at Art of Animation and there were tons of them available. Essie — I’m so glad you enjoyed it! Happiest of New Years! Thank you so much for being a great friend of DFB. It’s always so nice to log on and see your kind comments!